Doula – The 411 ! What is a doula? A doula s a nonmedical person who assists a woman before, during, or after childbirth, as well as her partner and/or family, by providing physical assistance, and emotional support. You may forget what it felt like to take your first “legal” drink, but you’ll never forget the birth of your children. The birth doula’s role in labor and delivery is to anticipate your needs and help carry out your wishes. The birth doula is there to provide continual physical and emotional support. A birth plan is a document that spells out in writing your wishes for your labor and delivery. If you’re planning a hospital birth, the birth plan would be shown to your doctor, hopefully before you would go into labor. Most doctors and hospitals adhere to expectant mother’s birth plans, as long as it does not compromise the mother’s or expectant child’s health. A birth doula can help an expectant mother create her birth plan. Once the woman is in labor, the birth doula would be there to support and encourage the woman, according to her wishes. The birth doula, however, is not in the position to make demands on your behalf. The birth doula also can not force you to adhere to your birth plan or withhold pain medication. The birth doula’s role is to encourage you the best they can, to follow your wishes. A birth doula is not there to take the place of the partner. With the doula’s experience, they are better able to assist the partner and guide them on ways to better assist the laboring mother. The doula and the partner’s roles compliment each other. Many people believe they will receive all the care and attention they will need from their doctors and nurses. If you’re planning a hospital birth, chances are, you will not be the only patient. Doctors and nurses are there to monitor your health and labor progress along with every other laboring mom. The birth doula is there solely for you. They do not work with other moms while you’re in labor. Doulas also do not work in shifts. You will have the same doula at your side for the entire birth experience. Many expectant moms choose to forego the use of pain medication during childbirth. The doula’s role is to assist and encourage the birthing mother the best they can to adhere to those wishes. The continual physical and emotional support offered helps laboring moms cope with the pain and discomfort, making labor pain management much more likely without the use of drugs. For those who choose to breast feed, research has indicated that women who choose birth doulas have a better success rate with breast feeding then those who do not. The doula is there to offer guidance and support with breast feeding per their training and education. 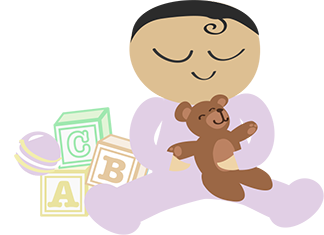 Part of a certified birth doula’s training places emphasis on maternal/paternal/infant bonding. The birth doula recognizes the importance of those first few minutes/hours after birth with bonding. Research indicates families who have used birth doulas have a higher recorded incidence of maternal/paternal bonding then those who have not. This does not mean that you have to use a birth doula in order to bond with your baby; it just shows that the birth doula’s presence is a factor in bonding success for all parties. Women who use birth doulas appear to have more confidence and feel empowered by their birth experience. A common complaint from women who have/had suffered from post partum depression is unsatisfactory or complicated births. We already know that birth doulas can play a role in overall childbirth satisfaction. While birth doula can not give medical advice, perform diagnostic tests or diagnose problems, they can, however, promote positive communication between you, your partner and the hospital staff. Many women feel overwhelmed or helpless during labor. The birth doula’s role is to help be your advocate. Clinical researches as well as major health organizations such as The WHO recommend continual labor support. Birth doulas are shown to reduce labor times and improve the overall satisfaction of the birth experience. Many insurance plans also cover birth doula services. This entry was posted in Infertility, Single Mother By Choice and tagged Dona, Doula, IVF, Single Mother By Choice. Bookmark the permalink.